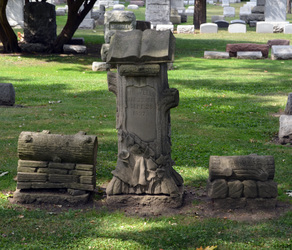 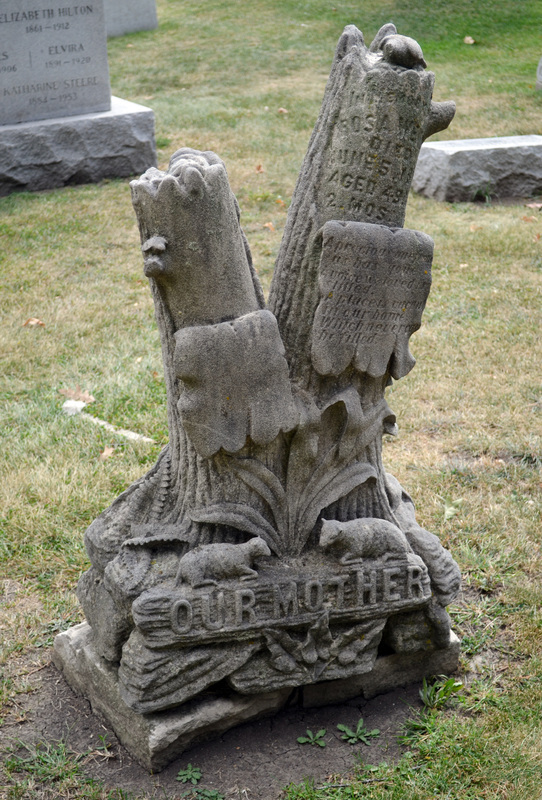 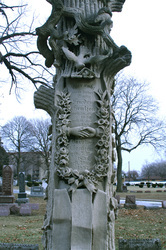 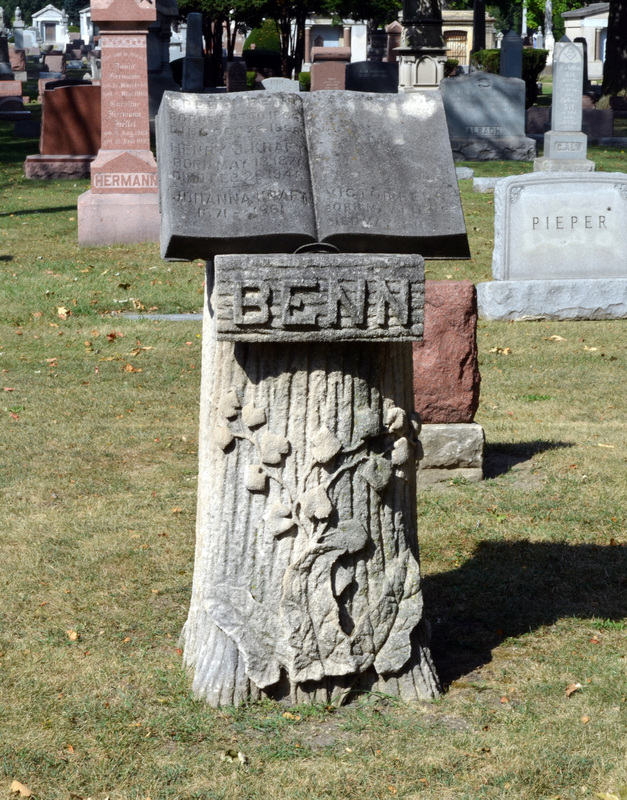 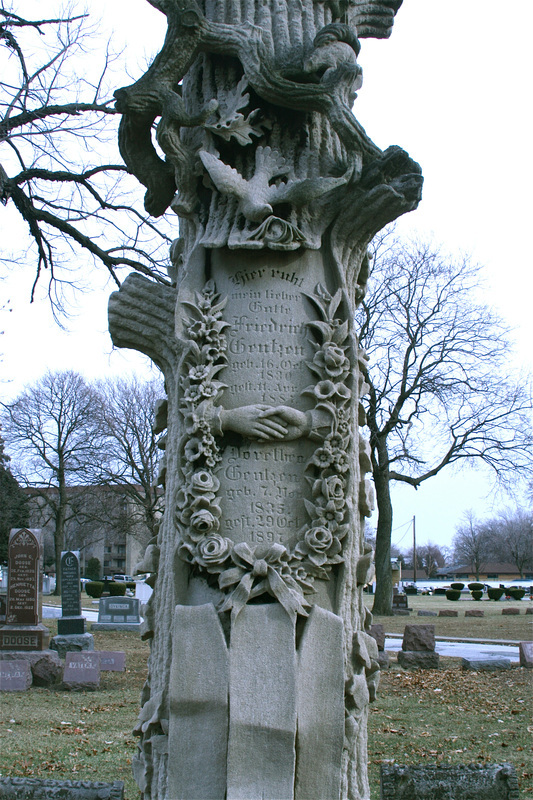 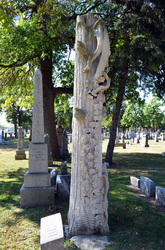 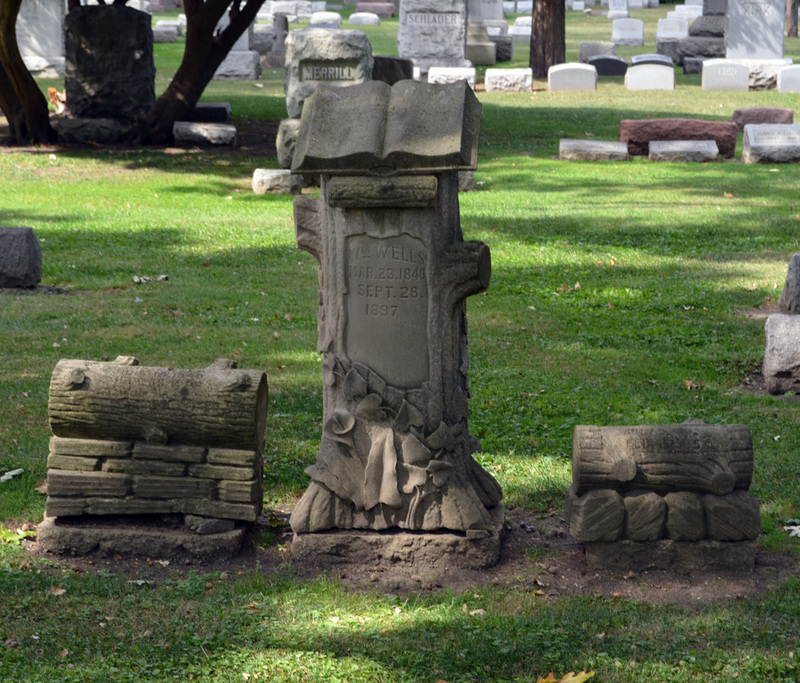 Woodmen of the World popularized this style of gravestone from 1900 to mid 1920's. 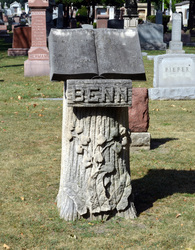 Through the organization members would receive a gravestone. 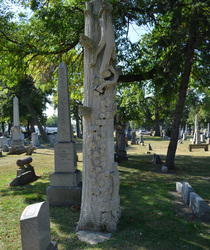 WOW designed a four to five foot high tree trunk monument pattern for adults and three stacked logs for children. 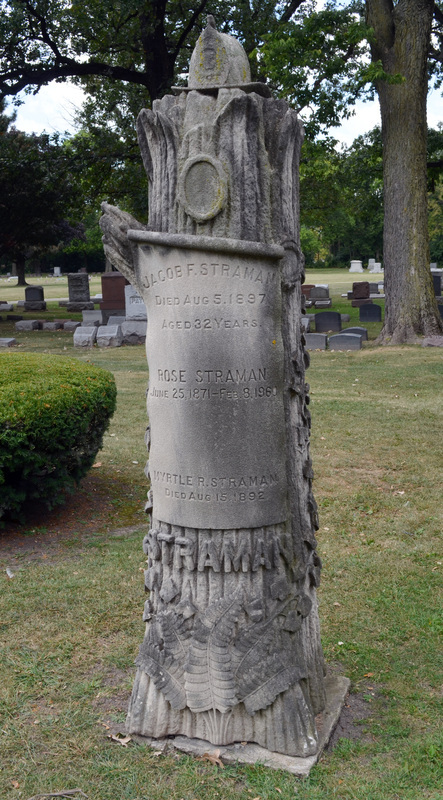 WOW would send a copy of the pattern to the local stone carver in the deceased woodman’s hometown, so that all of the tree stones would be similar in appearance. 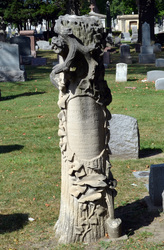 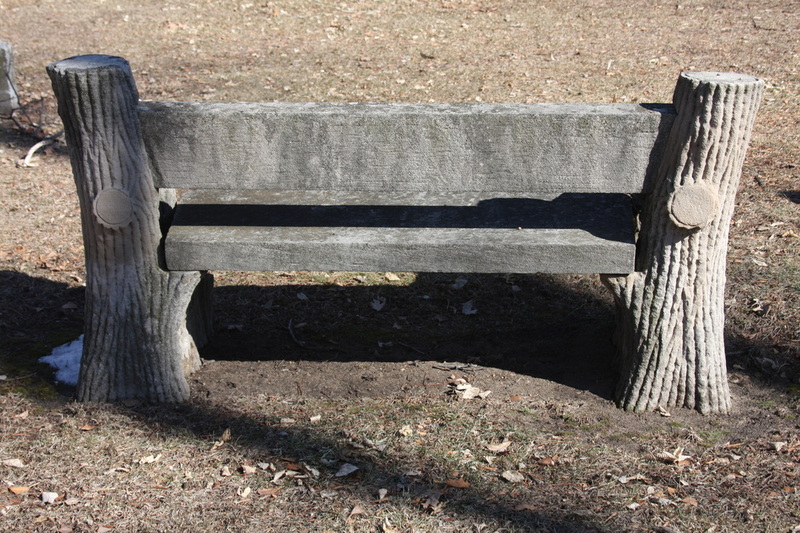 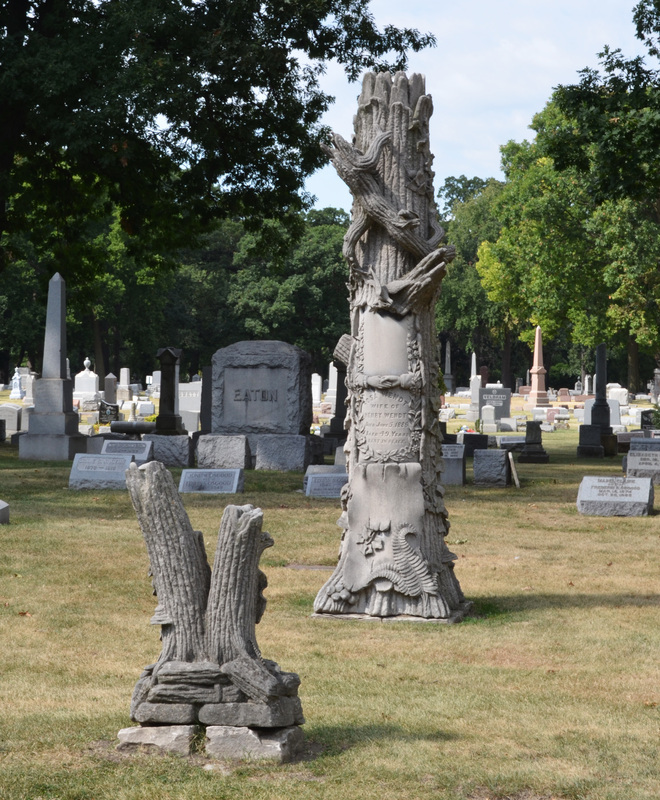 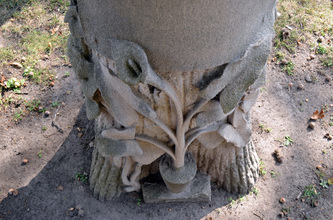 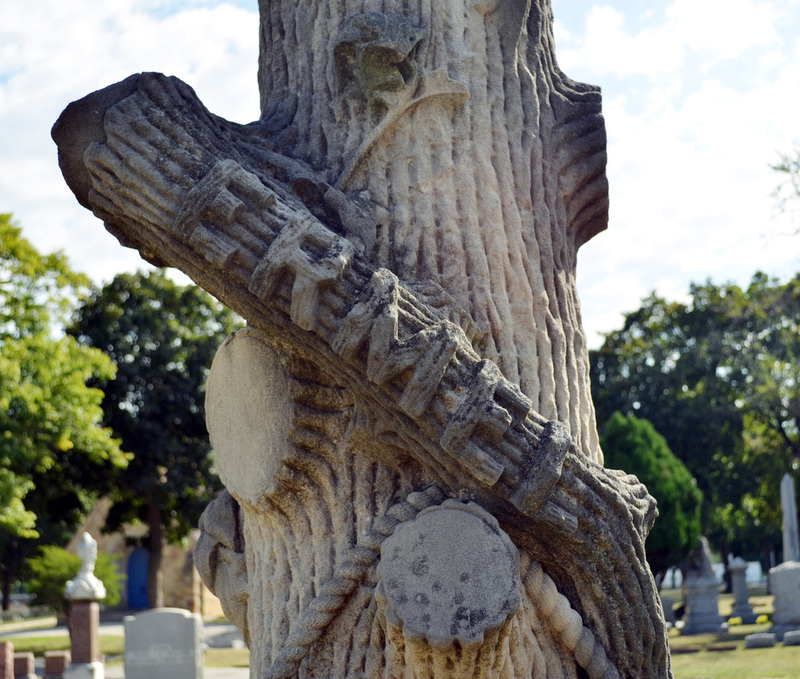 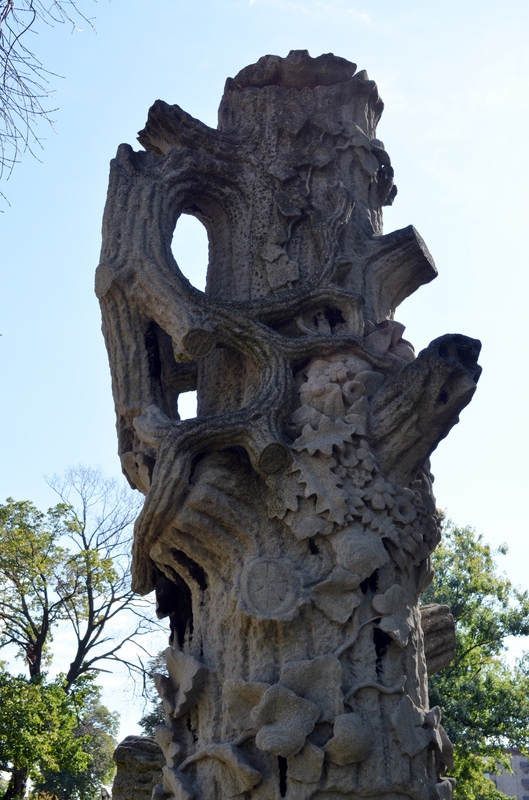 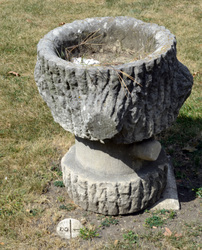 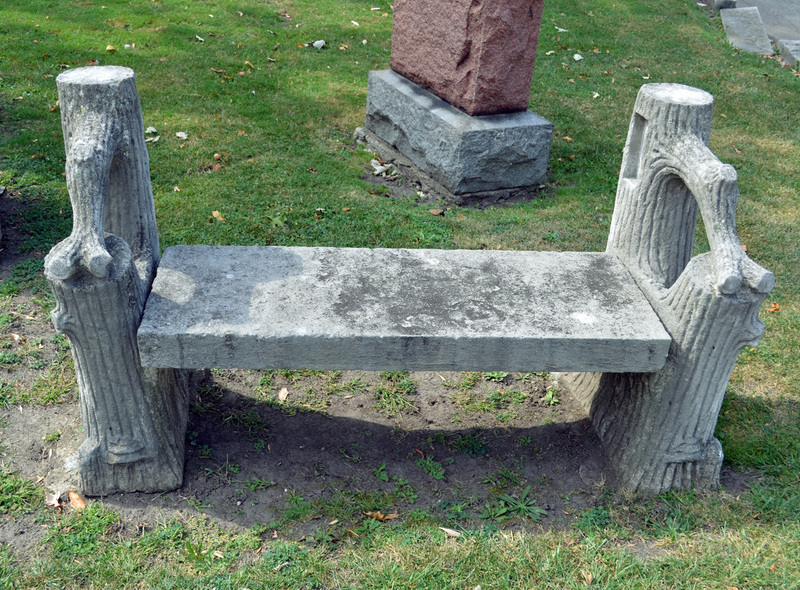 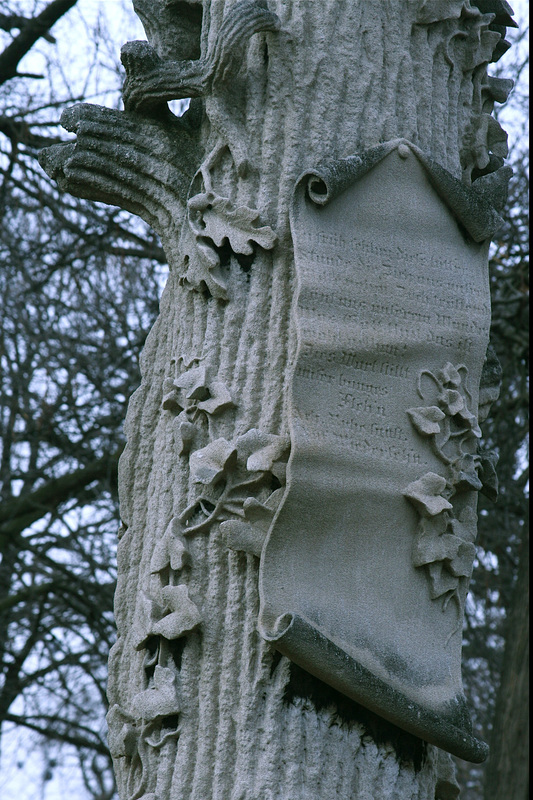 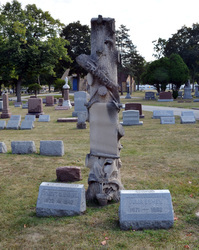 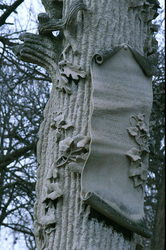 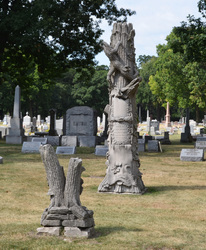 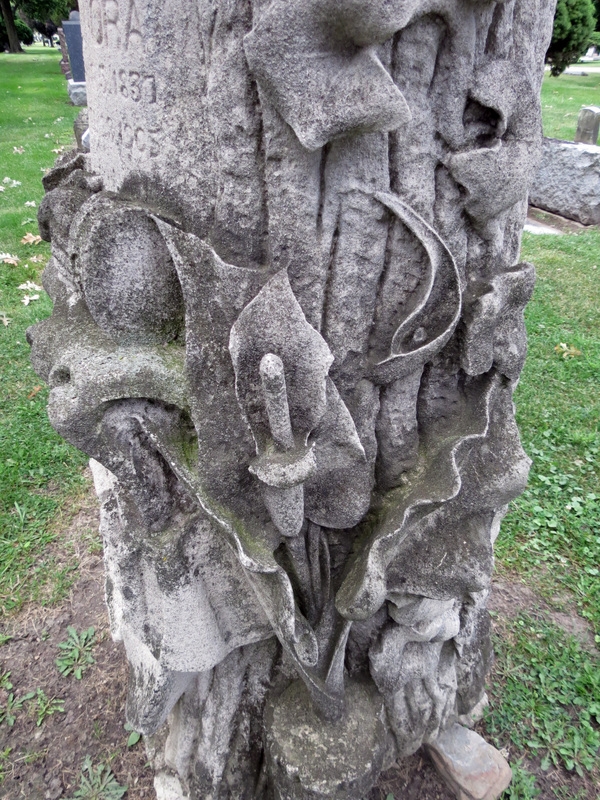 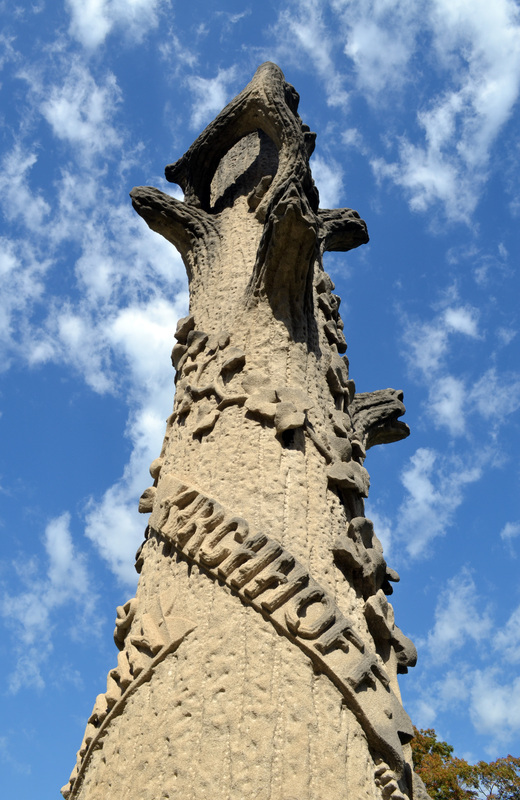 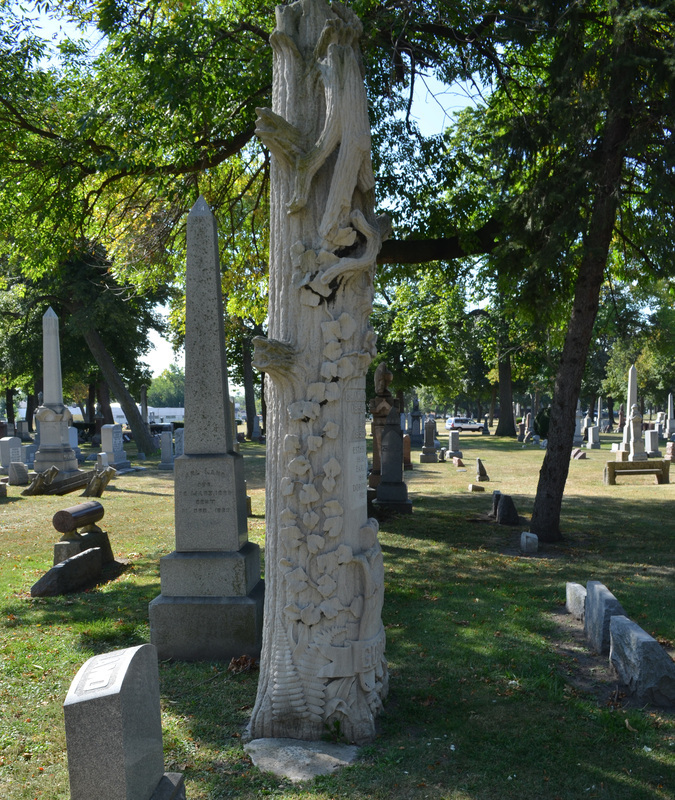 Many times, the tree stone pattern was altered; sized differently, cut in a different manner, or branches were added or broken off each time a family member was buried. Each piece was individualized with different decorations. 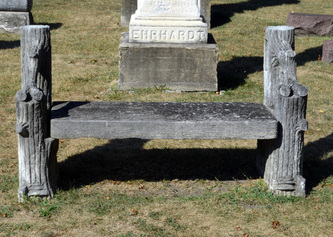 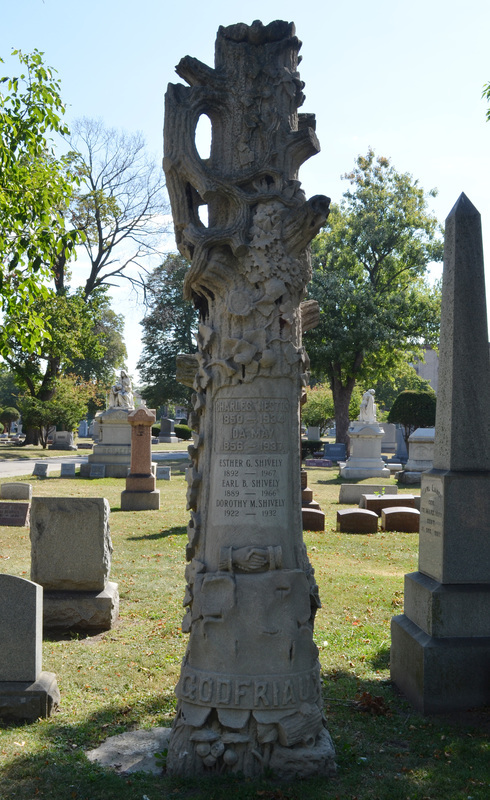 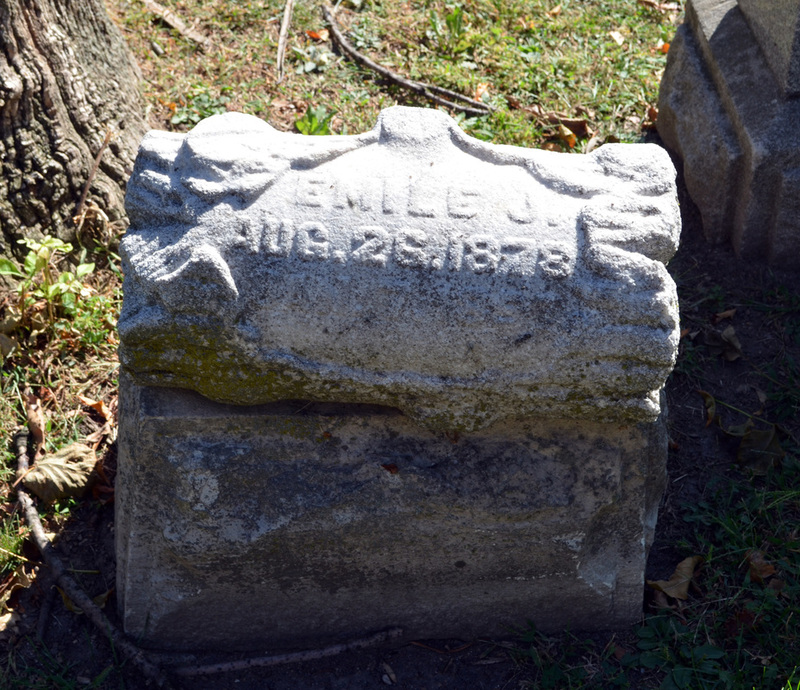 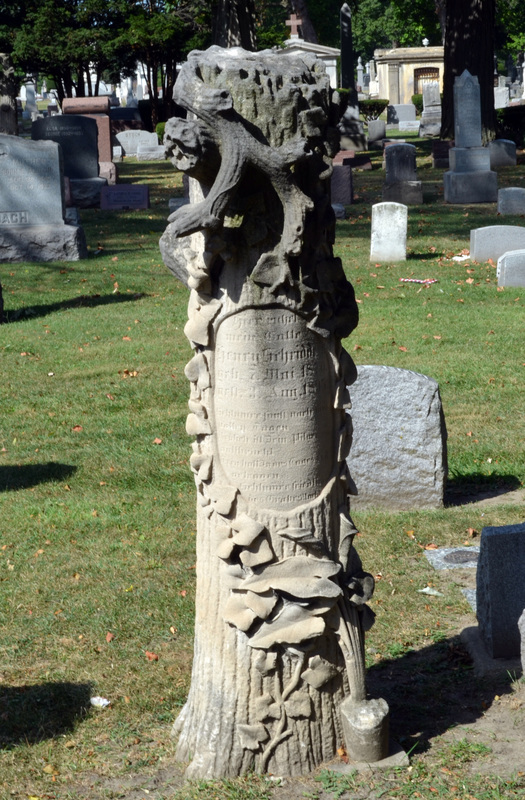 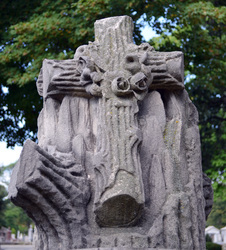 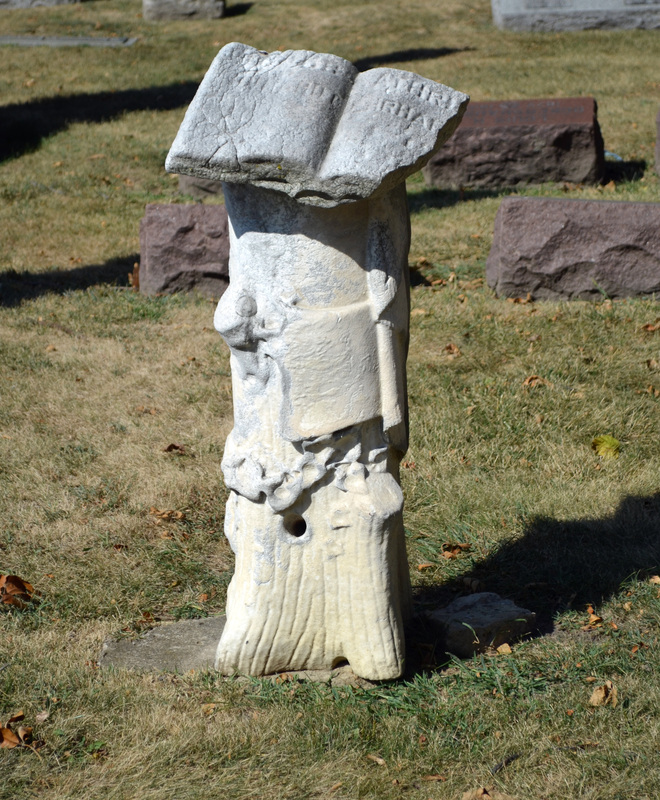 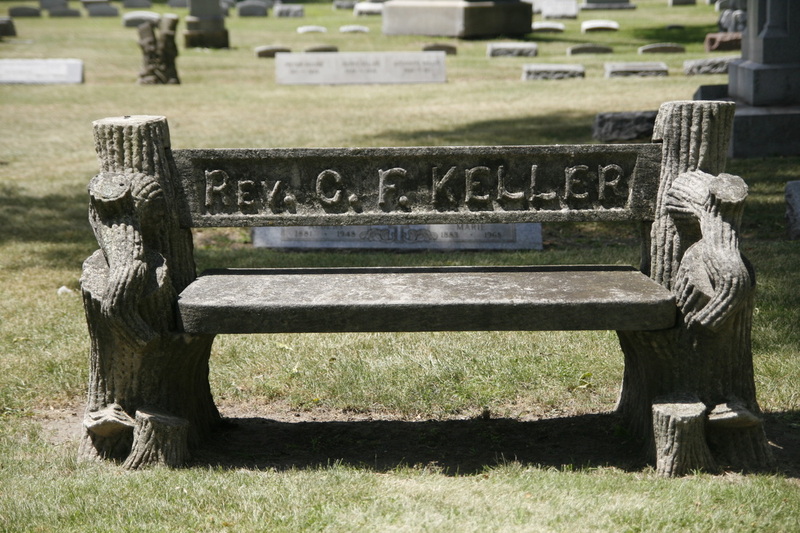 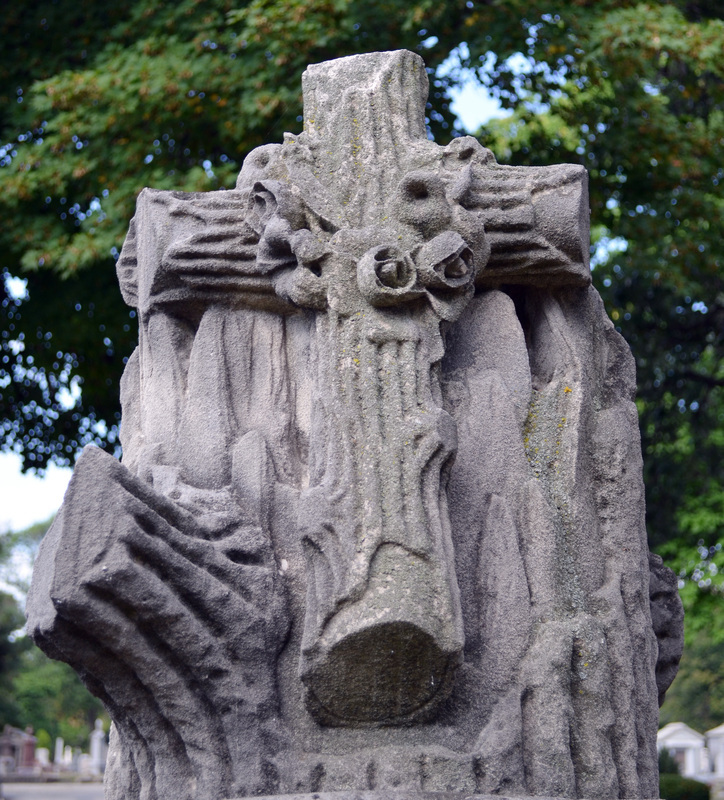 By the mid 20's, the organization had discontinued the grave marker benefit due to the increased cost of the stones.